Shoshsanna was in my December 2013 Julep Maven It Girl Box. 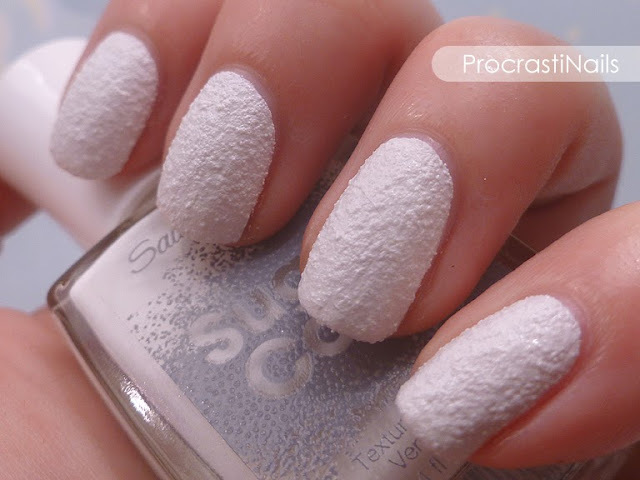 This was one of those polishes I wasn't super pumped about when I saw swatches online, but once I had it on my nails I was in love. 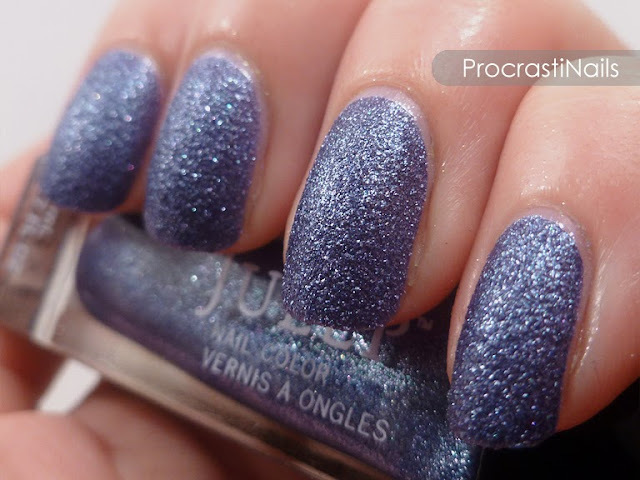 It was one of my first (almost) full-coverage linear holo glitters, and I couldn't stop looking at it when it was on my nails. Love love love. Tracy was from my July 2013 Julep Maven It Girl Box. 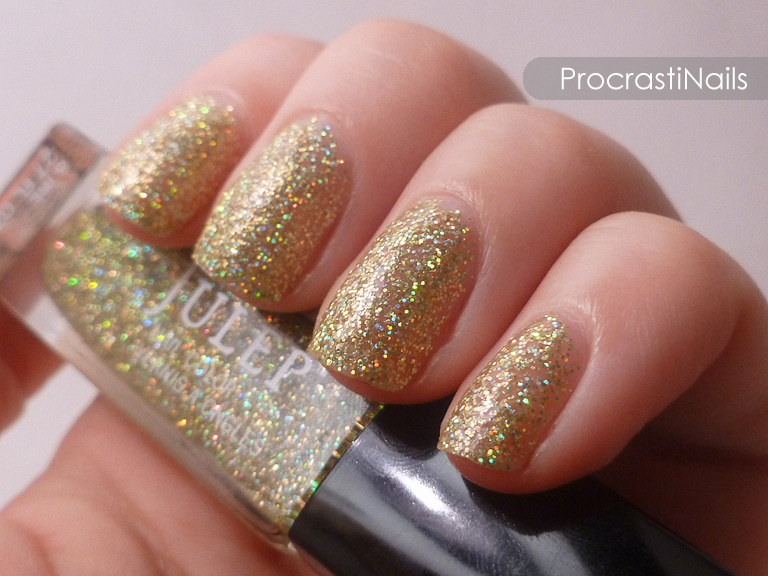 It was one of the first Julep polishes I truly loved, and it was also my first Julep textured polish. Look at that cool, jewel blue... Ahh!! The texture and sparkle just put it over the top, but in a classy way. Stunning! Ohhhh Belugaria. What a love-hate relationship we have, you and I. Obviously my emotions run more towards love than hate, considering it's on this list. :) Belugaria is from Essie's 2013 Encrusted Treasures Collection, and it was the only one from this set that I ended up swatching. 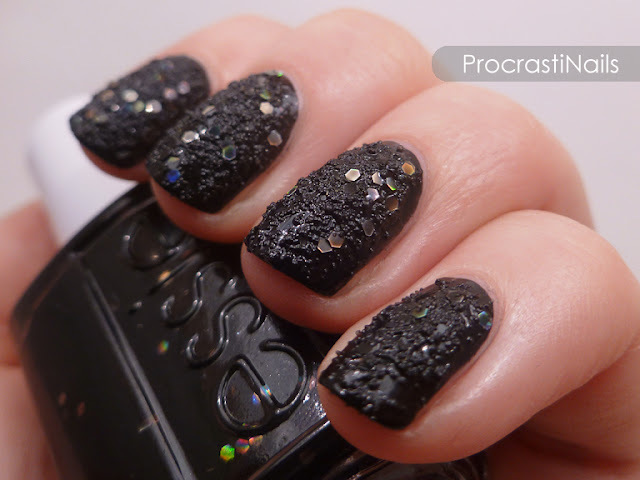 I just love how the glitter looks like hidden treasure scattered throughout the black grit. Aurora was my first Zoya polish, and this was my first real skittlette mani. Lots of firsts in this post! ;) I looooove how the colours go together in this look, even if the bow wasn't really practical for everyday wear. Check out the original post for more pics! This design was inspired by one of my favourite bathing suits, and I just love how bright and striking the colours of the flower are when based on the white. This was one of the few times this year I actually sat down to free-hand some art, and I really like how it turned out. Check out the original post for more pics! I participated in a Pinterest Inspired Challenge with a few other ladies earlier this year, and the results from the challenge were all awesome. It let me try some new and popular techniques that were around in the blogging world that I hadn't been able to sit down and actually try for myself up until that point. 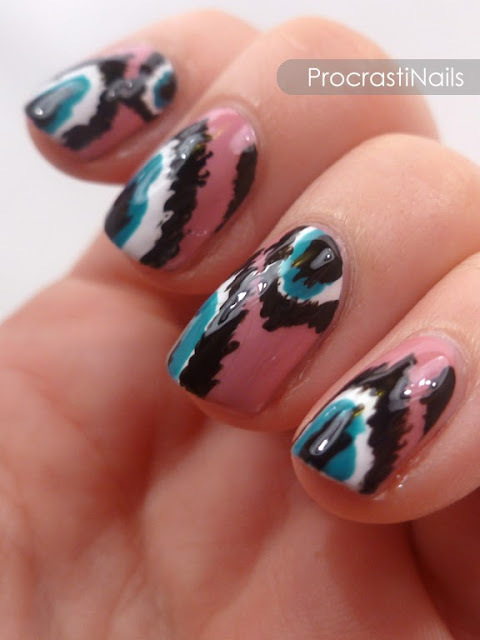 This was my fav from the entire challenge... My first try at an Ikat design! Check out the original post for more pics! Sinful Colors was a new brand in Canada when Target opened here this year, and I was there within the first week to grab a bunch of their lovely (and lovely priced) polishes! 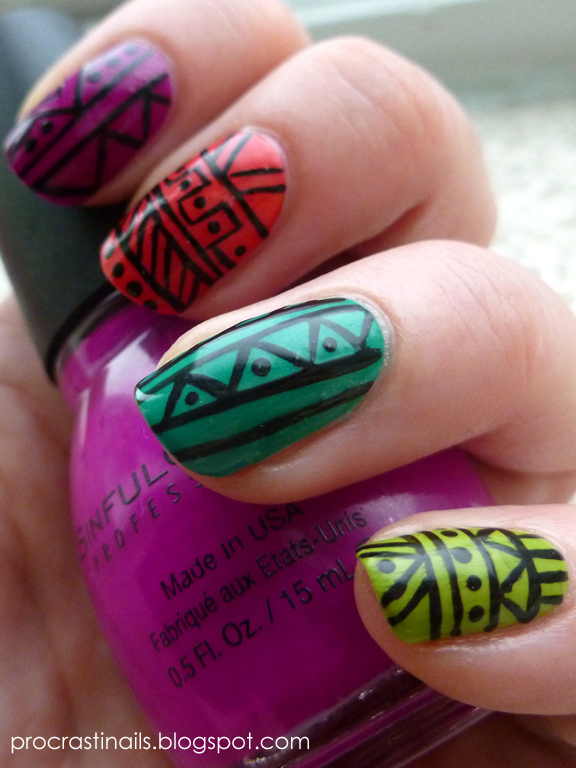 This was also my first attempt at a tribal-style design, and I was thrilled with how it turned out. Check out the original post for more pics! 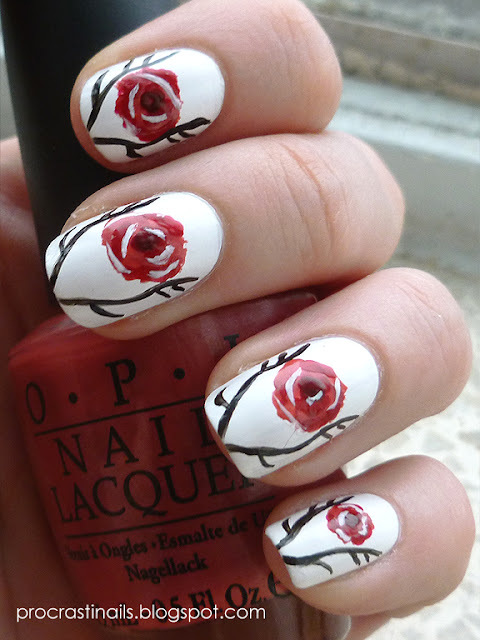 Once upon a time, I made a little name for myself by doing nail art designs based around Game of Thrones. 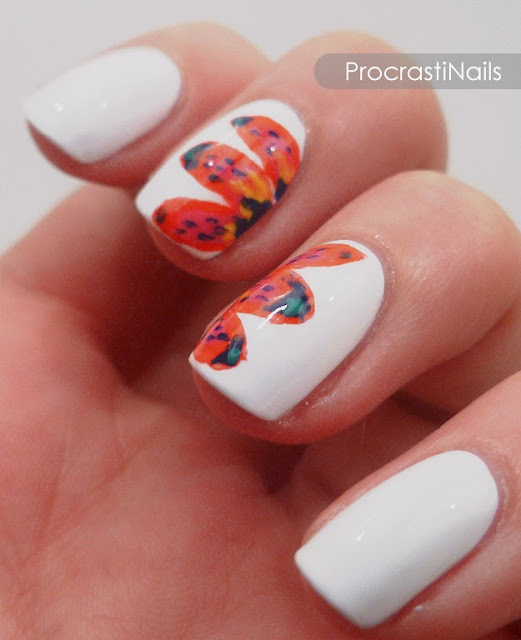 And they were AWESOME designs, if I do say so myself. 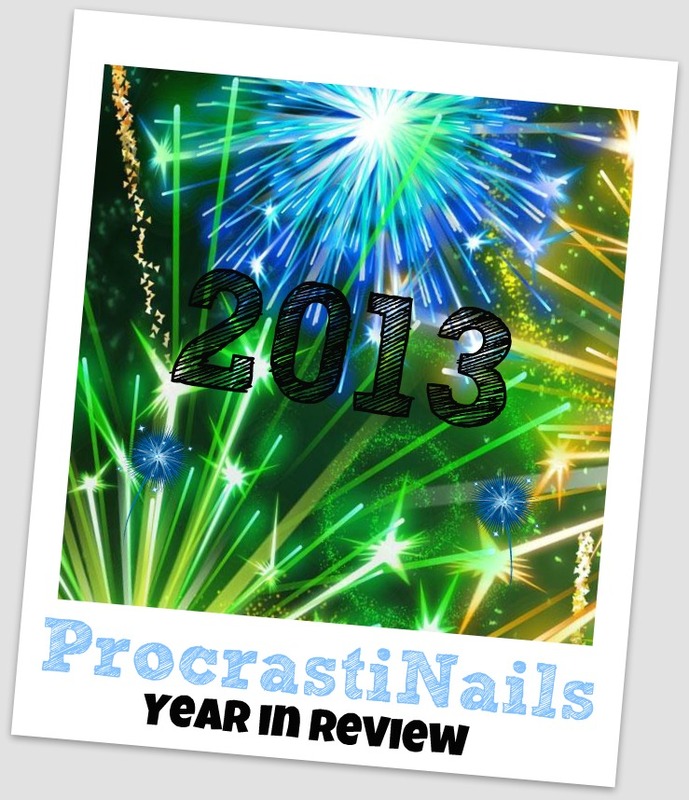 That was what really started my blogging career, so how could I not include at least one in my list of favs from 2013?! This one was inspired by my favourite (spoiler) half-dead couple, and even though I got some flack on tumblr for not making the roses gold (which would be more canon-compliant) I'd have to say this was my absolute favourite design for the year. :) Check out the original post for more pics! And don't forget to check out all of my Thrones Inspired nails over here. - My most commented post this year (aside from giveaways) was The 12 Days of Christmas Nail Art Fill for Dec 1st - Presents for Everyone! They were all great! Happy New Year!